Our executive team is charged with the early development of GAFFI and additional members will join this start up team. David Denning is an internationally recognised clinician with expertise in fungal diseases. He manages the UK’s National Aspergillosis Centre in Manchester, the world’s only such centre. David Denning has published more than 500 papers, books and book chapters and lectures worldwide. His writings have been cited over 40,000 times and he has successfully lead many major international collaborative science, diagnostic and treatment projects and clinical guidelines, with subsequent publication in Nature, the New England Journal of Medicine and the Lancet. He is the Founder of two University spinout biotechnology companies – F2G Ltd (antifungal drug discovery and development) and Myconostica Ltd (molecular diagnostic tests for fungi), now owned by Lab21. David is Chairman of the Editorial Board of The Aspergillus Website (1998-) with over 1 million pages read per month. He has chaired the Scientific Committees of several international fungal infection meetings and co-chairs the alternate year Advances Against Aspergillosis meetings, attracting ~400 delegates from >120 countries. Dr Denning and family hold Founder shares in F2G Ltd, a University of Manchester spin-out antifungal discovery company, in Novocyt which markets the Myconostica real-time molecular assays. He acts or has recently acted as a consultant to Astellas, Sigma Tau, Basilea, Scynexis, Cidara, Biosergen, Quintilles and Pulmocide. In the last 3 years, he has been paid for talks on behalf of Astellas, Dynamiker, Gilead, Merck and Pfizer. He is a longstanding member of the Infectious Disease Society of America Aspergillosis Guidelines group, the European Society for Clinical Microbiology and Infectious Diseases Aspergillosis Guidelines group and the British Society for Medical Mycology Standards of Care committee. David is a Trustee of GAFFI, UK. David is Chief Executive of GAFFI, with responsibility for all functions and advocacy outside of Kenya. He is part time. 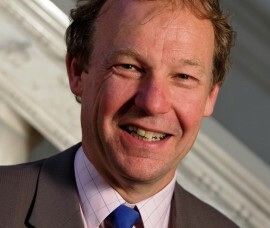 Tim Moss is an accountant who oversees the finances and governance for GAFFI and GAFFi UK. 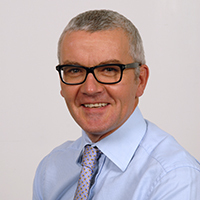 Tim qualified as a chartered accountant with Pannell Kerr Forster in London in 1990 and has over 30 years experience having held senior financial positions with a number of private and public companies in financial services, utilities, food product development, communications and telecoms sectors. He has been based in Geneva, Switzerland, since May 2006. He has wide ranging commercial experience, developing strategies, financial reporting, audit and corporate governance to meet statutory and stakeholder expectations. Considerable experience managing, developing and implementing processes designed for rapidly expanding enterprises including budgeting¸ cash flow and fund raising. 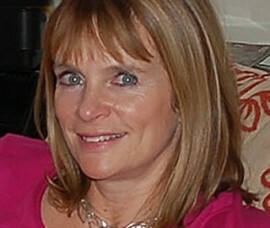 Jenny Bartholomew has been Senior Editor and Writer for the Aspergillus Web educational resources for the past 15 years. She previously worked in Oncology research at Christie’s Hospital, Manchester and on Rheumatoid arthritis at Manchester University and as Lecturer at Monash University, Melbourne. Her expertise encompasses all aspects of fungal diseases working within the University Hospital of South Manchester and also the National Aspergillosis Centre. 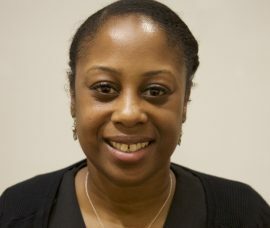 Jenny launched the LIFE-worldwide website in 2012 and then GAFFI in 2013; she continues her role as communications director and editor in chief for GAFFI as it continues to develop.